Keeping a full calendar full of party bookings is obviously the key to success in direct sales. But sometimes keeping a full calendar can be a bit of a challenge. Often times we miss opportunities for Party Bookings or forget to follow up at the right time. 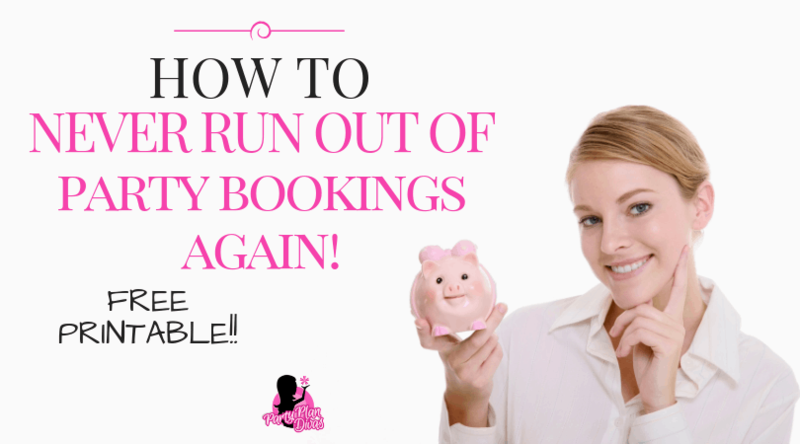 Check out how easy it is to Never Run Out Of Party Bookings Again with a Party Bank! So many times we let that money (not to mention the potential recruits) walk right out the door. That person who was so excited may lose your business card within hours of the party. By the time they want to book they may have run into another consultant or maybe even someone from another company who was ready to accommodate them. That is why you need a Party Bank! A Party Bank is a place to keep a running list of people who have said they “want to have a party after… blah blah blah.” It is designed to remind you of all of those “when’s” and keep you organized and on top of your Customer Care. When someone tells you they want to book a party when *whatever happens* you’ll be ready to meet their needs. In the process, you will be the most professional Consultant that person has ever come into contact with. Let’s say it’s January and Joan tells you that she wants to book a party but her house is being remodeled and won’t be finished until March. Put all of Joan’s contact information on your March pages as if you are booking her along with the fact she is remodeling her home. Next Sheila comes back to the order room and tells you her friend is getting married in May, and she thinks this would be fun. Turn to May and plug her in! Then here comes Melissa who mentions that she and her husband are celebrating their 25th anniversary in October. After she leaves the ordering room, write it down. In February call Joan to see how the house plans are coming or maybe drop a card in the mail to her that says…Can’t wait to see your house when it’s finished! She will be so impressed that you are staying in touch with her. She’ll probably give you a call to book her party. If not give it a couple more weeks and call back. If the house is taking longer than expected simply move her in your Party Bank. 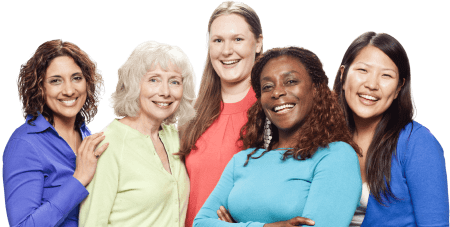 Send Sheila a card in early March to let her know your calendar is filling fast so if she wants to treat her friend to a girl’s night out in May it’s time to book! She will also be impressed that you remembered. Who knows the wedding plans may still be on or they may not. If not then she needs a stress relief party! Then there was Melissa who mentioned that she’s celebrating her 25th anniversary. Won’t she be so surprised to receive a happy anniversary card and a discount coupon in the mail from you 10 months later! If you get in the habit of listening you will become the professional business woman you always wanted to be and your customers will be very impressed! 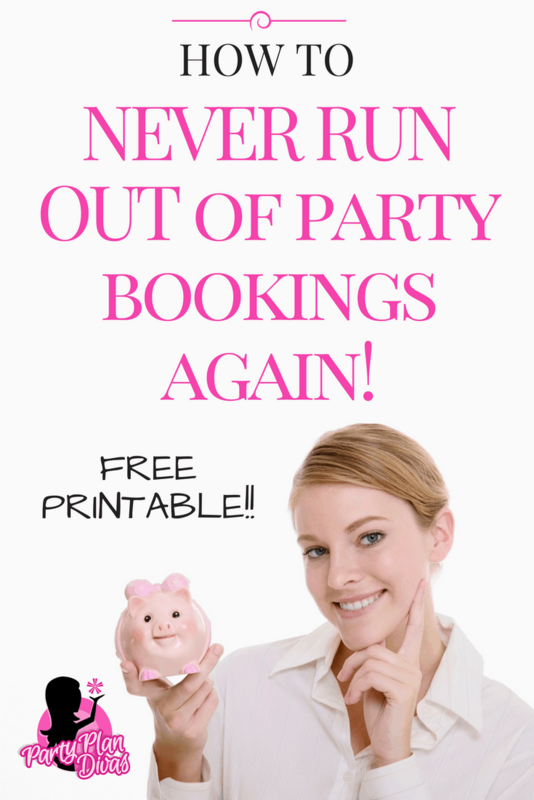 Print out your Free Party Bank Printable and fill out the dates for each month. Place each month behind a tabbed divider. Add additional pages for notes behind each month. Remember – the more notes to help you remember each contact, the easier your follow up will be. Keep in your Mobile Office so it is readily available to make notes when you hear those leads.